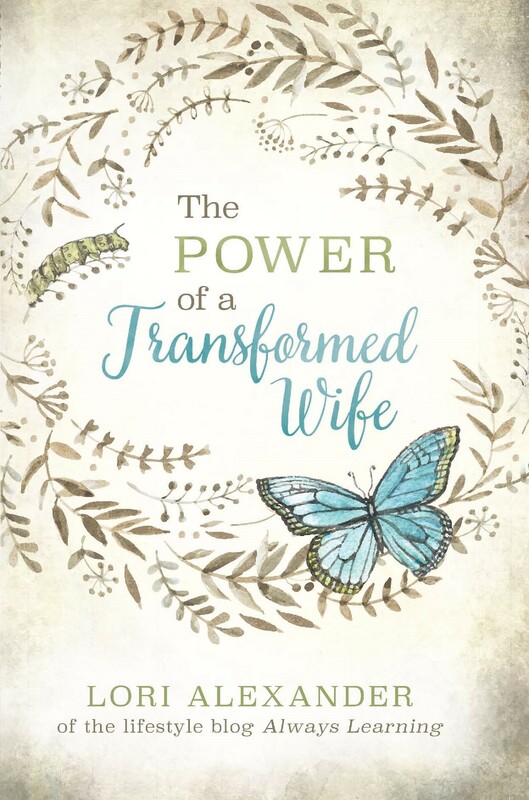 Many churches today accept having female deacons when the Bible is clear that deacons are to be the “husband of one wife.” Yes, women can clearly serve in the churches but they are not to have any leadership positions. God has ordained the men to be the leaders in the churches, yes, even overseeing what Bible studies the women are learning from. I believe many Christian women are becoming biblically illiterate from learning the Bible from women who are not qualified to teach the Bible. From all of Scripture, it seems that God has ordained men to teach the meat of the Word, yes, even to women. Here are two excellent articles about the topic of women deacons and they are worth your study. They counter all the arguments people give for having women deacons and why they aren’t biblical. 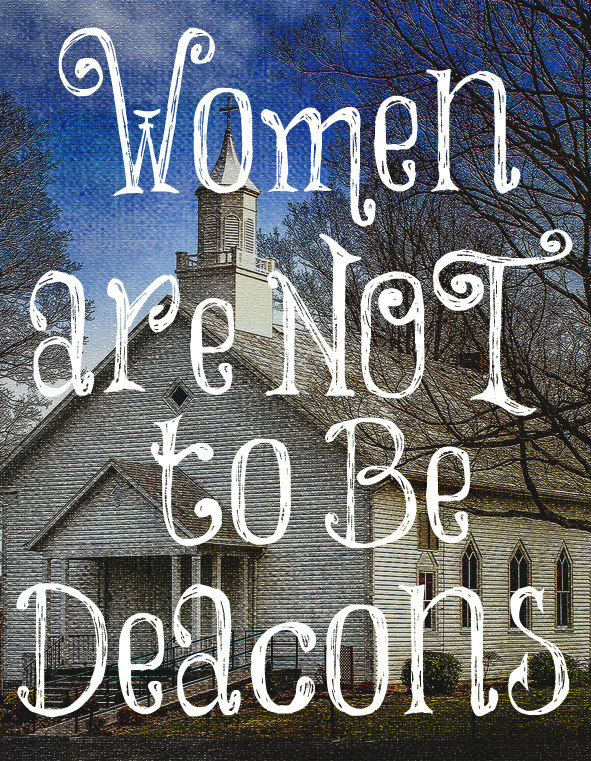 Any woman who is a deacon is in rebellion to God’s clearly stated word. The bottom line is that women no longer want to love and serve others yet God tells us that the greatest of all is the servant of all. Instead, women want to lead and be head over men which is not God’s design at all. We’ve all seen a rebellious teen-ager or wife. Wise pastors and elders have learned to pick up the non-verbal cues that show this rebellion. Usually you can see it in the eyes or the expression on the lips. God made us this way and it is only through a cultivated ignorance that officers of the church are unaware of the obvious signs. I wish I could pick up the cues as easily as my African students do. Vast sections of our denomination are in rebellion against what our Book of Church Order says about the ordination of women as deacons. The trails of our “winsome” rebellion are various and devious. We show this deviousness by contriving ways to have women function as deacons while still holding to the language of the BCO. This allows us to cop a posture of submission to our “fathers and brothers” while we defy them. Sometimes we refuse to ordain anyone as a deacon, and then have a board of men and women who do everything a deacon should; it’s just that they’re not ordained to that office and we don’t call them “deacons.” We call them “deeks.” Sometimes our rebellion finds other trails to make us look good, while in fact we are undermining the government of our church. This kind of rebellion needs to be dealt with just like any other persistent sin. Warnings need to be given and given and given. If these are unheeded (no matter the outward displays), then charges need to be brought and men need to be put under discipline. This is the only gracious way to deal with your rebellion and mine. Yes, this will mean that we won’t “guard each man’s dignity and save each man’s pride,” but it is the Bible way and it’s good. It doesn’t matter who is guilty of this sin. Even if he is a man known for his expert grasp of justification by grace alone, through Christ alone, received by faith alone, then he needs to be disciplined if he has women serving and functioning as deacons (no matter what he calls them). Tabitha, Mary, Lydia (this is an especially silly example, since the passage in question refers to her conversion and to her immediately subsequent desire to help the apostles: not a word about an official deacon position! In fact, it is an excellent counter-example), the daughters of Phillip, Euodia and Syntyche, Priscilla, Nympha, and Chloe are not examples of deacons. They are wonderful examples of women who love to serve the church. They are hardly proof that women exercised the office of deacon. I would put the WIC in my church up against any church of any denomination for the amount of work and service they contribute to the church, and not a single woman is a deacon. They work in hospitality, nursery, education, evangelism, and missions. They serve on all the committees of the church, and they keep PLENTY busy, I can assure you, yet they are not officers in the church. For now, it should be clear that there is no biblical basis for proving that the New Testament approves of women deacons. I might add that there are strong negative considerations that must come into play here as well: the office of deacon is one of authority. Otherwise, why would they need to be men (!) of the Holy Spirit, as Acts 6 specifically spells out? There is no treatment of Acts 6 in the whole of Wheatley’s paper, and it is not difficult to find out the reasons why. Firstly, the first deacons were all men. Secondly, they had to be men of authority, because they had to be men full of the Holy Spirit. If there is authority wielded by deacons, then the strictures of 1 Timothy 2:9-13 come into play. The office of deacon is one of authority, and such authority cannot be wielded by women over men in the church. Incidentally, Acts 6 also puts the axe to the argument that women were needed, in the early church, to serve the diaconal needs of other women. Here in Acts 6, it is quite plain that men were seeing to the food needs of women. I am so, so thankful to be part of a church that is not only God-honoring, exegetical in its teaching of scripture but also that we have older men who are elders, and middle age men who are deacons. They had to go through quite extensive checks and have certain qualifications to meet the standards as well.